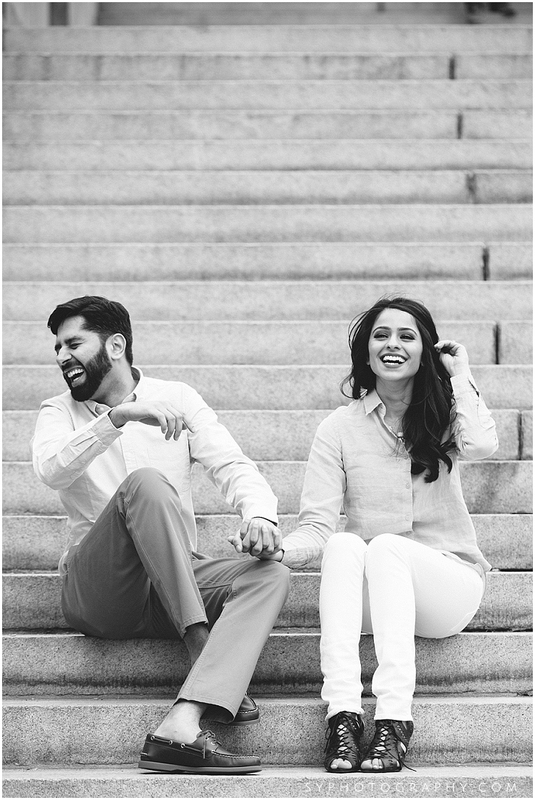 What can I say, I love photographing my clients in the city (NYC of course). 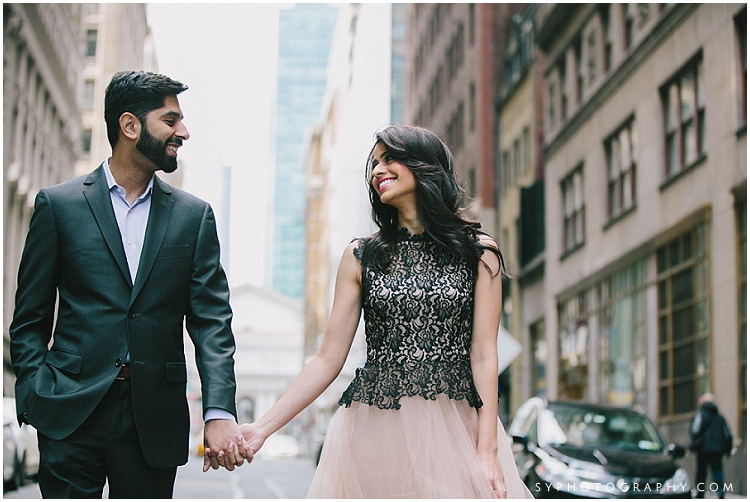 From being the middle of the concrete jungle you can step into Central Park and totally transform your surrounding. 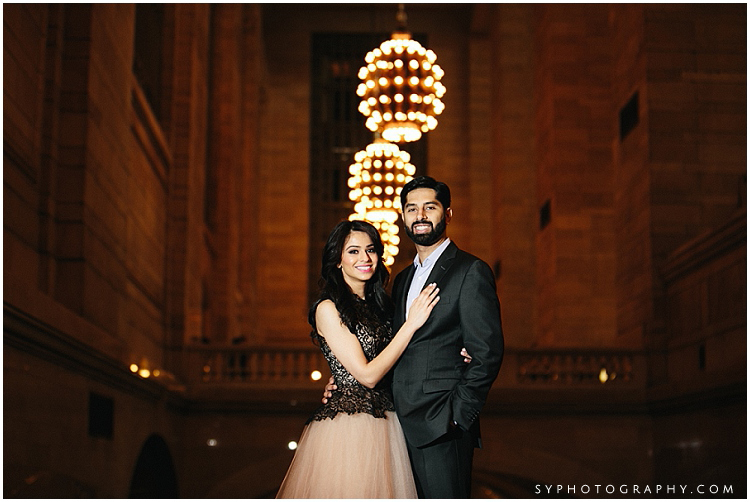 Well, New York city + very stylish clients and we have a fabulous NYC Grand Central Central Park engagement photo session. 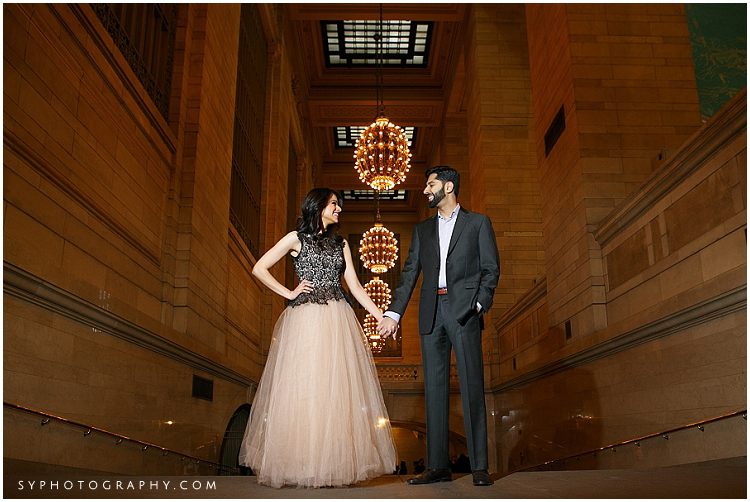 We started the engagement photo session at the Grand Central Station. 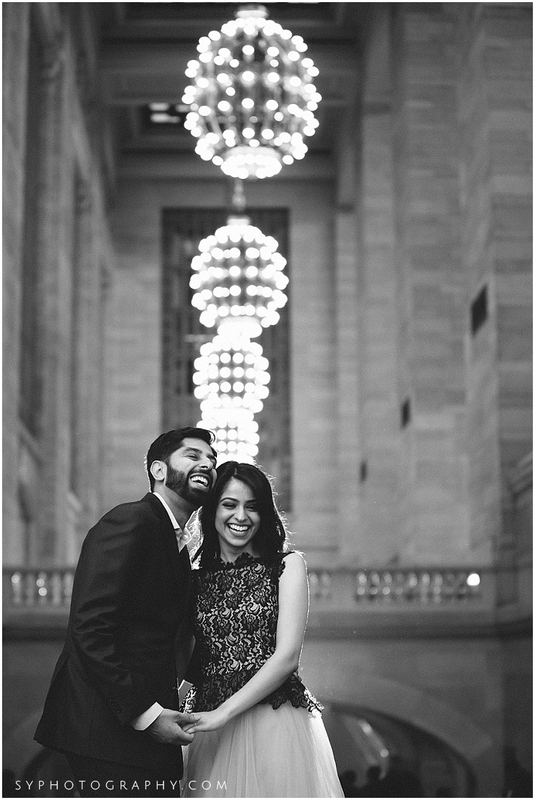 In the middle of all the trains coming in and out and thousands of commuters rushing through the Main concourse, the Vanderbilt Hall and the north balcony are my favorite spots to photograph my couples. 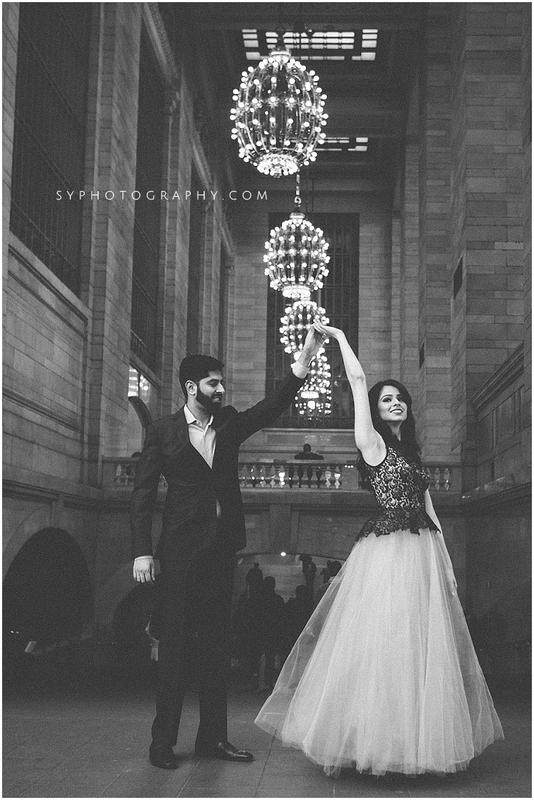 The soon-to-be-bride in her stunning Karla Drama Dress by Nha Khanh with the nickel and gold-plated Beaux Arts Chandeliers as the backdrop, hello glamour ! 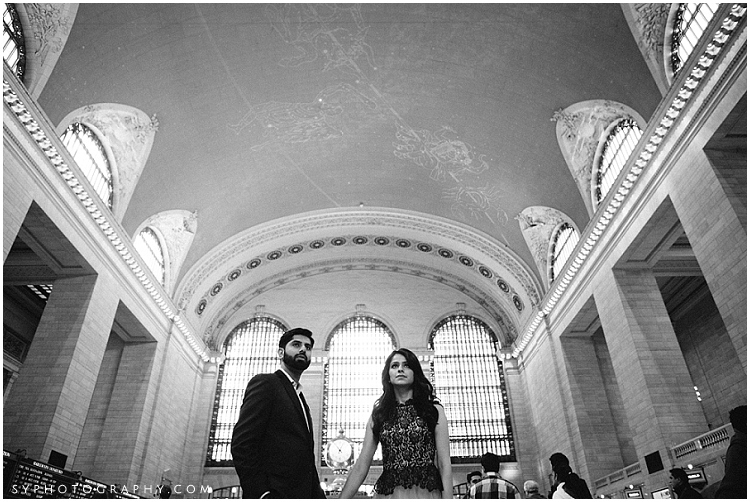 After that we did part of the engagement photos in the Main Concourse (surrounded by paparazzi / tourist) and then on to Park Ave. 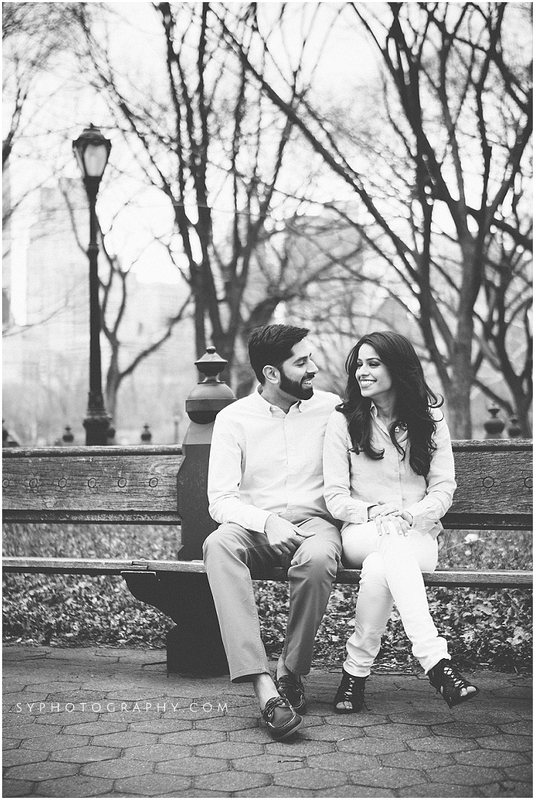 They changed into chic casual looks and off to the rest of session – Central Park engagement photo. 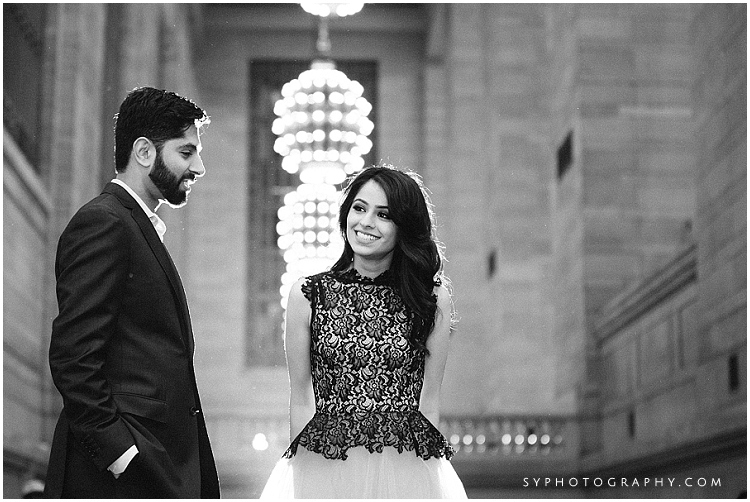 A cool early spring evening, we walked under one of the bridges to the Bethesda Terrace and fountain area. 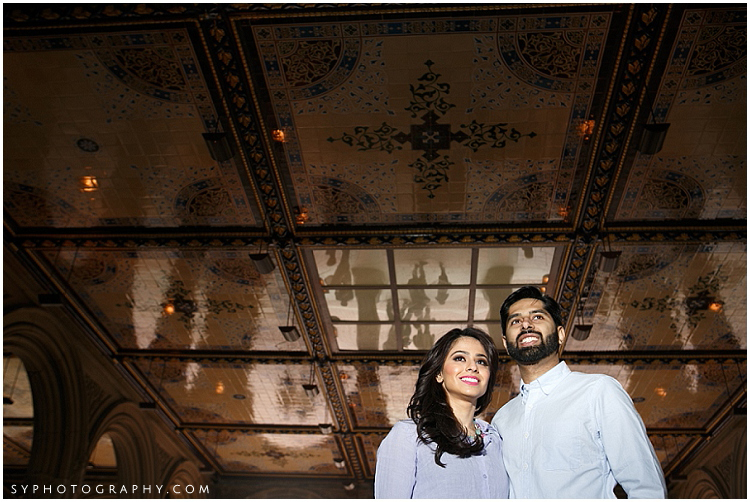 The lower passage under the Terrace drive is just magnificent with all the Minton encaustic tiles. 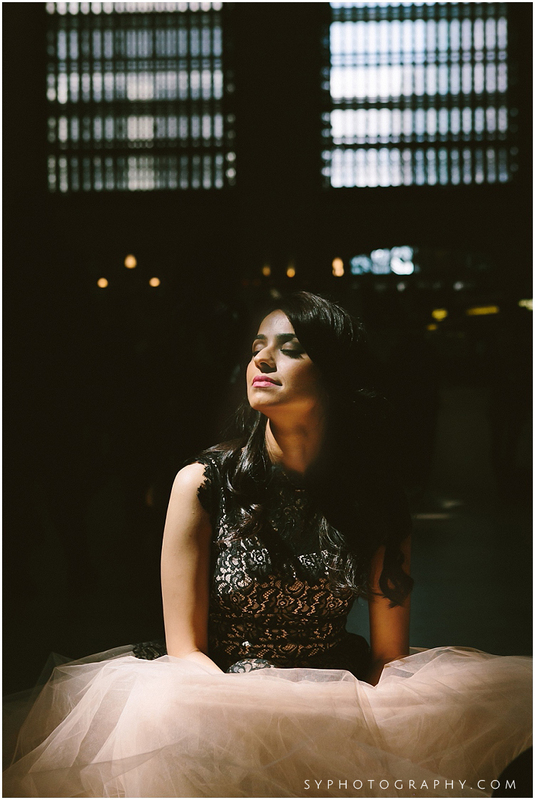 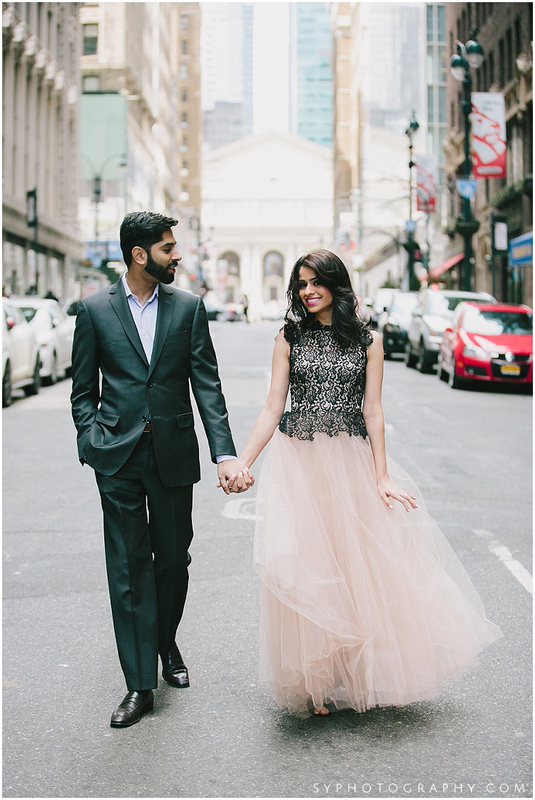 A quick set of photos there and then wrap up the NYC engagement session at the Central Park Mall referred to as an “open air hall of reception”.